The normal distribution, commonly known as the bell curve occurs throughout statistics. It is actually imprecise to say "the" bell curve in this case, as there are an infinite number of these types of curves. 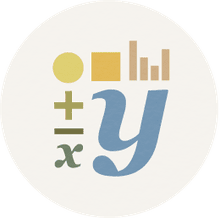 Above is a formula that can be used to express any bell curve as a function of x. There are several features of the formula that should be explained in more detail. We look at each of these in what follows. There are an infinite number of normal distributions. A particular normal distribution is completely determined by the mean and standard deviation of our distribution. The mean of our distribution is denoted by a lower case Greek letter mu. This is written μ. This mean denotes the center of our distribution. Due to the presence of the square in the exponent, we have horizontal symmetry about the vertical line x = μ. 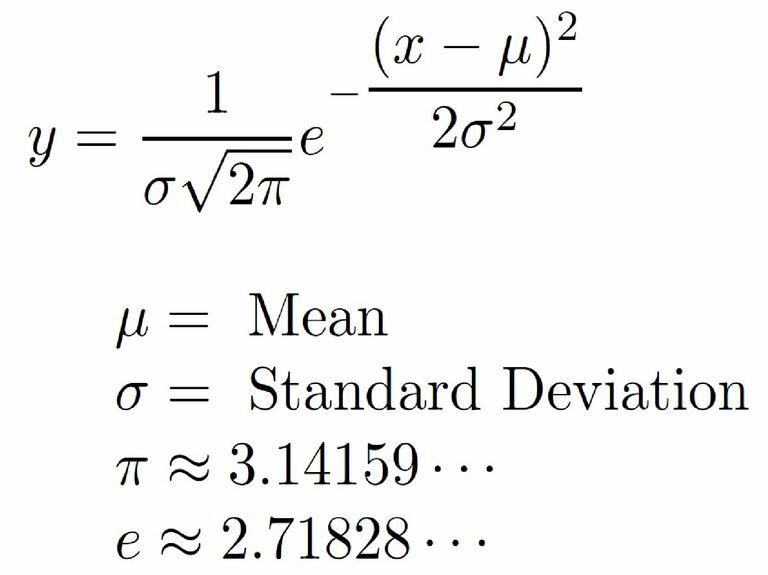 The standard deviation of our distribution is denoted by a lower case Greek letter sigma. This is written as σ. The value of our standard deviation is related to the spread of our distribution. As the value of σ increases, the normal distribution becomes more spread out. Specifically the peak of the distribution is not as high, and the tails of the distribution become thicker. The Greek letter π is the mathematical constant pi. This number is irrational and transcendental. It has an infinite nonrepeating decimal expansion. This decimal expansion begins with 3.14159. The definition of pi is typically encountered in geometry. Here we learn that pi is defined as the ratio between a circle's circumference to its diameter. No matter what circle we construct, the calculation of this ratio gives us the same value. The letter e represents another mathematical constant. The value of this constant is approximately 2.71828, and it is also irrational and transcendental. This constant was first discovered when studying interest that is compounded continuously. There is a negative sign in the exponent, and other terms in the exponent are squared. This means that the exponent is always nonpositive. As a result, the function is an increasing function for all x that are less than the mean μ. The function is decreasing for all x that are greater than μ. There is a horizontal asymptote that corresponds to the horizontal line y = 0. This means that the graph of the function never touches the x axis and has a zero. However, the graph of the function does come arbitrarily close to the x-axis. The square root term is present to normalize our formula. This term means that when we integrate the function to find the area under the curve, the entire area under the curve is 1. This value for the total area corresponds to 100%. This formula is used for calculating probabilities that are related to a normal distribution. Rather than using this formula to calculate these probabilities directly, we can use a table of values to perform our calculations.